This is a very special Corporate Desk Calendar that can be heavily branded. 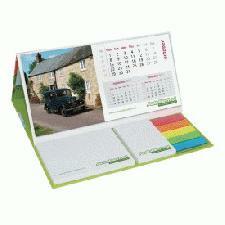 We can add full colour print to both sides of the Calendar and to the Post-it Notes. It folds flat for posting and flips into a handy promotional desk item that your customers will love.